Out on DVD is Director Bennett Miller's (of Capote fame) latest work, again pairing up with Phillip Seymour Hoffman but putting him in a supporting role, with Brad Pitt in the lead. It's an ambitious venture: make a baseball film with little to know footage of baseball, make a film about the drama which unfolds in sports management and even more challenging, make a film about the sports statistics and make it interesting. It turns out that statistics aren't that dull at all. We think of statistics as long, black and white spreadsheets of incomprehensible numbers, only meaningful to 'eggheads' and 'boffins'. Luis Buñuel once offered 'statistics' as his sole pet hate. The fact is, the product of statistics is usually information which challenges our pre-conceived notions and established societal conventions. Despite the dull sounding nature of a movie about statistics, consider the work of documentary filmmakers such as Michael Moore and Morgan Spurlock are wall-to-wall statistics. Miller, rather than making a documentary, creates a narrative of a Baseball team down on it's luck, which uses statistics to create a team of undervalued ball players. The film also works as a vehicle for Brad Pitt, who has matured into one of the best American actors working today, to showcase a flair for dialogue in confrontational situations. He must introduce this 'technique' of using statistics to create a team roster instead of guesswork. He must go up against the literal and figurative 'Old Guard' of the Oakland A's as well as the teams coach, to take what little money the club has and create a champion team. The conflict between Pitt's 'Radical' Billy Beane and Jonah Hill's nervous Peter Brand, against the 'reactionary' Old Guard and coach creates an entertaining drama. Pitt's 'Billy' is especially an engaging screen presence when he's not in control of the situation and must fight for it. This drama and conflict is enjoyable to watch and stays in the memory. 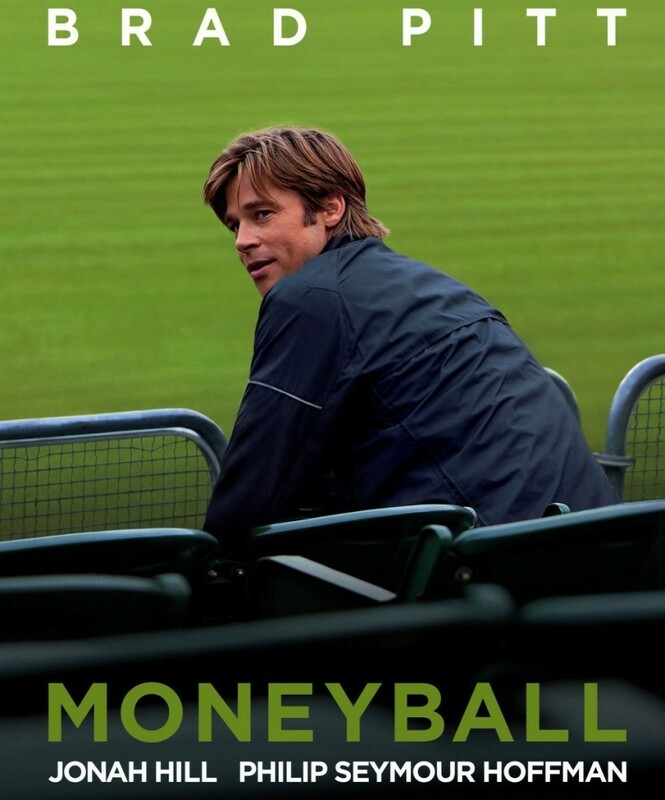 Moneyball is worth a watch and probably a second. I do feel the praise of the movie has been overstated, but Moneyball is a solid three star film, earning an extra half for a) Pitt's stand-out performance, and b) it's successful transformation of documentary subject matter into a format so, so much more entertaining than any sports documentary I've seen.